Great Wall of Chinese SUVs Ready to Roll on American Roads? Great Wall Motor Co has embraced the SUV in a big way and, judging from sales figures, buyers like what they see. The newest step in the company's Haval series of SUVs is the H6, a high-end offering that reminds one of the Kia Sportage and is equipped with intelligent safety and navigation systems. 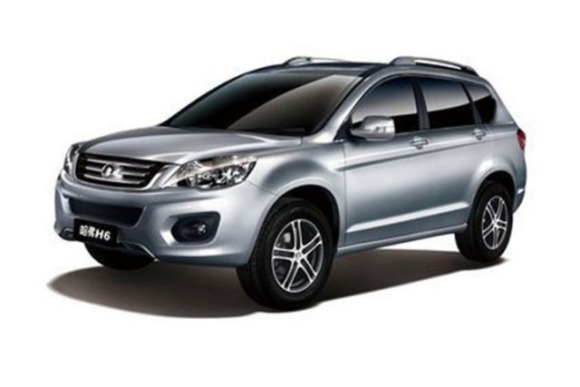 The Haval 6 was recently introduced at GWM's new factory in Tianjin, in the northern Chinese province of Hebei. The state-of-the-art factory has an annual production capacity of 200,000 vehicles. Great Wall Motors expects to build a variety of vehicles at the plant besides the Haval H6, including the Voleex C20R and C30. The company also makes the intriguingly named "Wingle" and "Coolbear". As well, the company is aiming to double production at the Tianjin factory by 2015. The reason for such optimism, according to GWM's chairman of the board Wei Jianjun, is “The factory can take advantages of port facilities in Tianjin to promote exports.” And so they have. You may not know their name, but Great Wall Motors currently exports their vehicles to over 120 countries and regions including Africa, Australia, Melanesia, the Middle East, Russia, South America, South Asia, and the South Pacific. At present it's the only Chinese automaker with a sales presence in the EU. Could the United States be next? By setting up assembly plants in over 10 countries outside China, the company is following in the footsteps of Japanese automakers such as Honda, Nissan and Toyota who have established successful and profitable factories in the United States and other countries. It's worth mentioning, however, that most of these are “knock-down factories” that produce various models of Great Wall vehicles from kits. 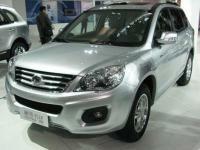 Great Wall Motors (est 1976) is basing their future plans on their current success and favorable forecasts. The company's revenues are up 49.8 percent year-on-year for the first half of 2011 and it exported 39,400 vehicles through July; and increase of 37 percent over the first 7 months of 2010. Could Great Wall's Haval H6 be the flagship of a Chinese auto invasion of the USA? Potential buyers would be impressed with the H6's turbocharged 140 hp 1.5-liter gas and 2-liter "Green Quiet" diesel engines, both featuring multi-valve cylinder heads. Complementing these powertrains are newly designed sequential six-speed automatic transmissions and smartly styled interiors. Those vehicles would never get past required NHTSA testing. They would crumple like the cheap piles of junk they are. Our Great Wall is just less than a year old and has spent as much time at the dealership yard as with us. The numerous problems have included rust being discovered in many new places, windscreen seal popping out, indicators and air conditioning malfunctioning to name a few. Not happy with the past service and having to put up with a sub-standard quality 'new' vehicle.